January and February and it´s destined for active mathematicians whose degree is equivalent to Ph. 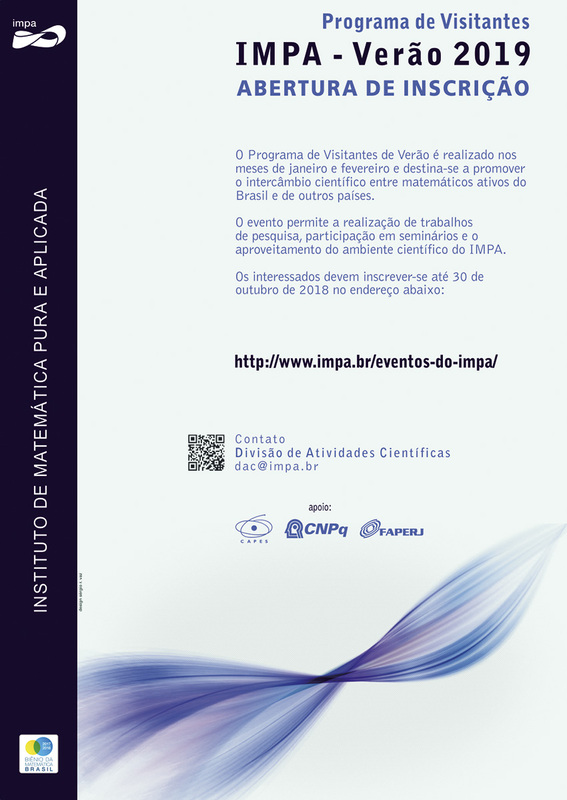 D. The main goals of this event are: completion of research papers, participation in seminars, taking advantage of IMPA´s scientific environment by researches from other institutions and development of the scientific exchange among mathematicians from Brazil and other countries. Registration Deadline: October 30th, 2018.